Saturday FIBER x Shelter lineup complete! 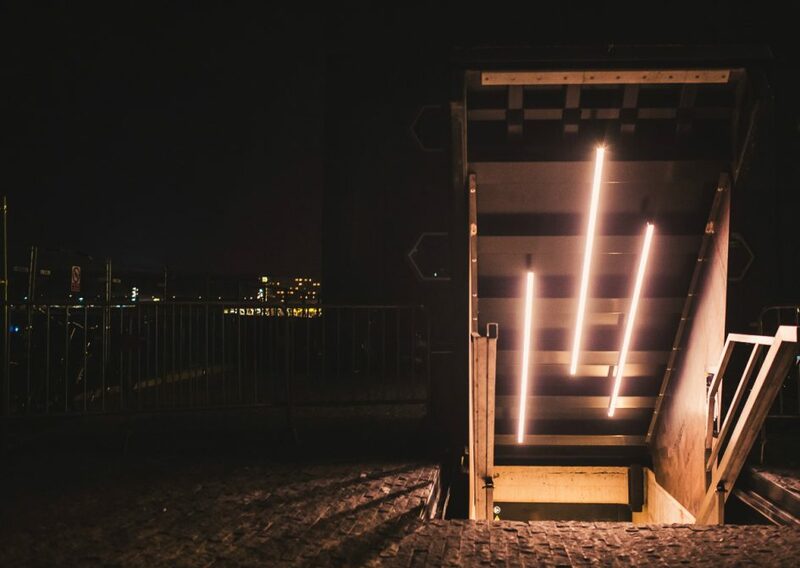 FIBER and Amsterdam’s newest club Shelter join forces and organise a multisensory concert and club night on Saturday, May 13th. For the very first time, Shelter will be used as a concert venue for three very different sonic experiences! A special light scenography will be added to the club’s interior to complement the stellar sound system. Opening the evening is the Belgian producer SKY H1 (Live), who turned many heads with her EP ‘Motion’ last year. Her joyful, dreamlike tracks intoxicate and seduce. Scottish producer and sound artist TVO (Live) brings a new work specially created for FIBER Festival and this year’s theme of alchemy: ‘Hell Is Empty’. Dark, occult post-techno full of literary allusions. We close the concert evening with Yves De Mey and Peter Van Hoesen as Sendai (Live), who will perform their newest album Ground And Figure: a shapeshifting, hypnotic ambient beast that never rests and always surprises. Sendai’s post-techno machine music disorients, fascinates and confounds the listener. Right after the concert part, we continue with our club night, which will take you through many different aspects of the contemporary techno landscape and experimental electronic music. All on the stellar Shelter sound system. First up is Amsterdam-based Mattikk: a highly skilled DJ and selector who will navigate us through deep and grimy bass music, and the unstructured rhythms of techno and electro. All the way from Tokyo is Ena (DJ) who will slowly submerge the audience in his strange shifting rhythms, bubbling clouds of finely shaped noise, and distant techno patterns. TM404 (Live) is Andreas Tilliander from Sweden. Everywhere he goes he brings two 202s, four 303s, two 606s, a 707 and an 808 to create a dense, acid-infused live set from thin air. After a peak of playing and releasing a series of stunning music in 2013, he continued to slowly build his live reputation. Last year we witnessed him play two massive set at Nachtdigital and Berlin Atonal and heard much about his applauded Berghain session. We’re happy to invite him over to Amsterdam. We end the night at Shelter with a very special DJ set by the italian techno-duo natural/electronic.system. This is the first time they will play in The Netherlands! Those of you who had the opportunity to experience their sets at the mighty Labyrinth festival in Japan or the Paral·lel Festival in Spain, know what this duo is capable of. Tickets for the concert programme also gives you access to the club night. This means you can stay in Shelter from the evening till morning. We hope to welcome you all at Shelter!